The oven is often the unsung hero of a busy household, helping to prepare Sunday roasts, goodies such as cakes and cookies, as well as the (occasional) frozen pizza to crispy perfection. Without an oven, your kitchen almost seems bare. An oven is an essential appliance, but before you buy one, you’ll need to get a good idea of what type best fits your personal circumstances and preferences. 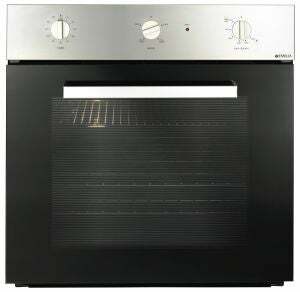 Finding an oven that best suits your kitchen can be a mission, with not only plenty of brands available to choose from, but plenty of types as well. To help you with the decision-making process, Canstar Blue has compiled a list of the types of ovens below, regardless of if you’re a kitchen novice, or a culinary master. A popular option for many households, gas ovens have been around for decades, with the models often being cheaper to run over the long-term than their electric cousins. But with more households starting to turn away from gas appliances and mains connections, if your home doesn’t already have a natural gas line connected, you could be left with a bigger bill than expected. While cheaper to run, gas ovens are generally more expensive upfront, so it’ll be a choice of whether you’ll want to pay more upfront and potentially save more over the long-run, or if you want to go the other way around. Additionally, what food you normally cook in an oven will also impact on your final decision, with gas ovens typically not browning food as well as electrical ovens. However, gas ovens do generally result in greater moisture, making them ideal for those big juicy roasts. The more common option for households, electric ovens make up the majority of the market, with the oven type cheaper to buy than gas ovens. 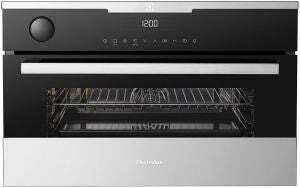 With more brands and model types available, an electric oven may be your best bet if you’re looking for something specific, or if you like to have plenty of options up your sleeve. Electric ovens are often viewed as easier to clean, easier to use, as well as easier to cook with if you’re after a more even cook, making them ideal for frozen pizzas and baking. While they might impact your electricity bill, they may be your best bet if you’re not sure what you’re after. For further variety, electric ovens can be separated into convection and conventional ovens, which means you’ll be able find one that’s best suited for you. In addition to deciding on how your oven is powered, what type of oven you choose will be dependent on a variety of factors. Most ovens are split into conventional and convection categories, each with their own different strengths when it comes to cooking. The main difference comes from how the oven cooks your food, in particular how it heats up the air inside. A conventional oven heats from the bottom up, but can create inconsistent cooking as pockets of cooler air can form in some areas. 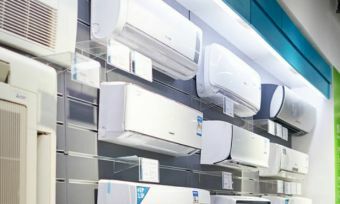 In comparison, convection ovens will circulate warm air from the back via a fan, and can usually be set to a lower temperature than conventional ovens while still achieving the same end results. As it circulates air however, pans and dishes with high edges may impact on how well cooked your food is, so be mindful of what you’re preparing your dinner in. While steam ovens may not be at the top of everyone’s list, they have begun to become quite popular in recent years, with the water-based oven providing an alternative for consumers. Steam ovens work by injecting water into a boiler, either through a separate cannister or through a connection to the water line, with the steam then heating the oven. The steam cuts down the need for oils, which can provide a healthier alternative for households. Steam ovens also retain more nutrients, as well as reduce cooking times, but may impact on how crispy your food ends up, meaning a steam oven might not be the best suit for everyone. Additionally, steam ovens will set you back more than a traditional oven, meaning it’s more of a financial commitment, costing upwards of $1,000 for basic models. When it comes to ovens, your household size, as well as whether or not your place is the usual spot for those Sunday night dinners, will determine the size and capacity of oven you should go with, with plenty of brands offering both single and double-ovens for you to consider. Single ovens are generally made to fit anywhere in your kitchen, regardless of whether you have space under the counter or at eye-level, with most single models made around 60cm tall, meaning that plenty of pans and containers will be able to fit in the oven. Better suited for smaller households, or households that may not use the oven often, a single oven will be able to take care of the majority of your cooking needs. More suitable for bigger families, or those that like to cook in bulk, a double oven is essentially two single ovens stacked on top of each other, which are often between 72-90cm tall. The main benefit of a double oven is that households can use one oven to cook, while simultaneously using the other oven for grilling, making big meals and roasts easier to create. While no one could deny how handy an oven is, cleaning one is undeniably one of the most boring household chores, with grease and burnt food etc. the bane of many. Thankfully, self-cleaning ovens are readily available, although the handy function isn’t available with all models, so you’ll have to keep an eye out if you’re looking to cut down on your cleaning time. Self-cleaning ovens can be further categories into Pyrolytic and Catalytic, with both keeping your oven clean in different ways. Pyrolytic, the more common type, heats up to 500 degrees, effectively burning any food residue left behind, with consumers simply left to sweep up the ashes, while Catalytic ovens are lined with special chemicals that absorb any food spills to make general clean up easier. Regardless of which one you prefer, a self-cleaning function will set you back an additional amount, but when it comes to cutting down on your chores, it may be well worth the money. While you won’t find one in every kitchen, a warming drawer could be the difference between a hit dinner or a disaster, with the handy feature used to keep plates and foods warm if you’re pressed for time. Warming drawers are also ideal for defrosting food, handy for those who forgot to take the chicken out of the fridge. Warming drawers are generally installed in a wall cavity, usually above or below the oven, with an electronic panel located in the top interior edge of the drawer for a rather sleek design. While not necessary for most households, if you’re regularly hosting dinner at your place, or you’re hopeless combining all elements of the meal together while they’re still warm, a warming drawer may be a worthwhile option looking into. 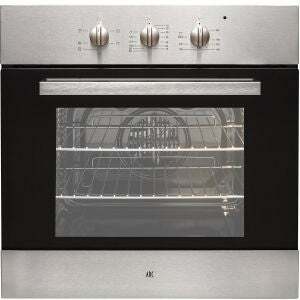 Which oven is best for me? Ultimately, which oven you decide to go with will be dependent on your individual circumstances, plus how big your household is, how often you use an oven to cook meals, as well as whether or not you’ll really need additional features such as warming drawers or self-cleaning functions. With plenty of options on the market, there’s an oven for every household, although you may have to do a bit of research beforehand to find the best one for you. However, with Canstar Blue rating oven brands, you can spend less time researching, and more time enjoying oven-baked goods. 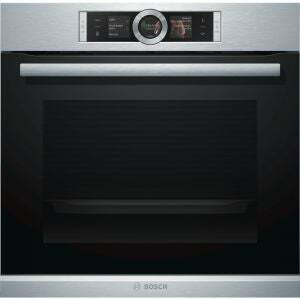 Check out our latest oven reviews via the link below.